In My Mailbox is a meme that was originally invented on The Story Siren. I have adapted it a little: I will post the books I receive or the ones I buy every so often. I will not post every week (as is normally the case of IMM), but on an irregular basis, that is when I have new books! Received: Notes from a small island, by Bill Bryson. Thank you Alice for buying me this book! Bought: The other Boleyn girl, by Philippa Gregory. I had noticed that book some time ago and everybody kept telling me how great it was, so when I saw it in a charity shop, I had to buy it! 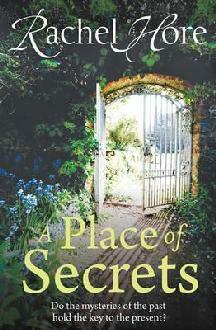 Bought: A place of secrets, by Rachel Hore. It is quite funny because I had seen that book in Waterstones and then did not buy it because of the price... Which paid off because it was much cheaper at the Works' so I decided to buy it. Bought: The wreckage, by Michael Robotham. I love crime books and the summary attracted me. What helped me make my decision, though, was the author, because I had read a review on one of his books earlier and I wanted to discover his work. Bought: Stravaganza, City of stars, by Mary Hoffman. I have read this book before in French and I am a great fan of the series. Bought: The constant Princess, by Philippa Gregory. Another one in the series. Bought: Death of a friend, by Rebecca Tope. How could I not enjoy a crime book by a British author, with the action taking place in the hunting world? Comme les livres en langue étrangères sont chers en Suisse, je note généralement les titres qui m'intéressent et j'effectue mes achats lors de mes visites en Angleterre. In My Mailbox a été inventé par The Story Siren. J'ai apporté quelques adaptations au concept initial: je posterai un article avec les livres que je recois et ceux que j'achète. Je ne publierai pas un article chaque semaine (comme c'est normalement le cas de IMM), mais de manière irrégulière, selon mes nouveaux livres. Heureuse d'avoir découvert ton blog. je suis française et habite aux US. j'ai aussi un blog sur mes lectures [http://wordsandpeace.com], où j'écris essentiellement en anglais à cause de mes lecteurs. mais je publie des choses aussi sur la France. je suis également traductrice. J'ai traduit des livres, mais jamais en fiction. Mon rêve c'est d'avoir un diplôme pour pouvoir un jour traduire des romans!